Discussion in 'Xbox 360' started by iwantthemoney, Jul 3, 2009 with 2 replies and 5,847 views. Hello. Here are some mods for the Xbox 360 Xbox Live Arcade video game Worms 2: Armageddon and we've included a video of the mod, as well as a tutorial from playinghalotoday. These are basic hunt for corresponding numbers and max them out mods in the game. 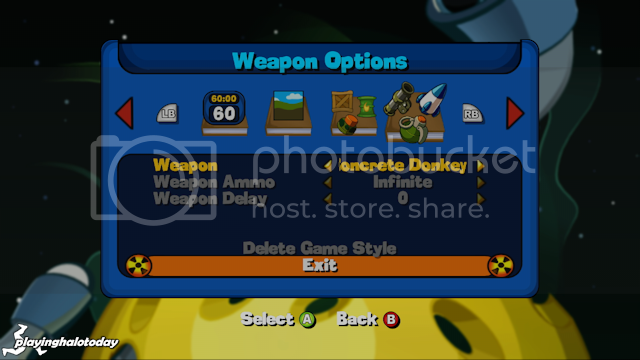 The things you can mod are money for buying locked items in the Shop, as well as setting custom values for the health of the worms and weapon stats, and other information for the locked gametypes. These locked gametypes are the one's used in local games as well as on Xbox Live in Ranked, Public, and Private matches. You must be HOST for the mods to work on Xbox Live. * Includes gamesave file, Xplorer360, a couple resigner/rehasher programs, as well as a Hash Block Calculator for those modding a Gamer Profile (Gamertag) file over 1Mb in size. * Rehash/Resign to your own Console ID. Do NOT change the profile ID as it is suppose to be "0000000000000000" and goes in that folder on your Xbox 360 memory device. 1. Money is stored in three locations in your Gamer Profile (Gamertag) file. The money amount appears to moves in between these three locations, at least intially. If you DO NOT change all three locations, the game will freeze when you try to use any of the six background landscapes in Xbox Live or Local Play. 2. Convert the decimal value of your money into HEX using a hex calculator. Example, "100" of money in the game, would show up as "64" in HEX. 3. The easiest way to find your money locations in a hex editor is to search for "63E83FFF7A" which represents the "C ? Z" that you see in the text field. This is typically where games will store their information. How many games you've played and what games in particular will determine how many of these "63E83FFF7A" you'll find in your Gamer Profile (Gamertag) file. 4. The money in HEX starts from right to left 71 bytes from where "63E83FFF7A" ends. 5. To maximum the money in the game you will start from right to left and replace the numbers with "0F FF FF FF" which represents a montetary value of 268,435,455. Be careful NOT to use anymore of "F's" than we've listed, otherwise the game will show either a zero or negative number for your money. You could also put in any value you preferred. 6. It's possible that one of the locations for the money won't have the actual amount stored in this location so you may need to test locations a few times to find the right one. From our experience this random set stores the money from completing the first Tutorial, but then goes back to all "OO" after each subsequent tutorial completion. As previously mentioned, if you do not mod this location as well, the game and console will freese if you try to use one of the unlocked landscapes from the Shop. 7. Save your changes, and then Rehash and Resign the file. If your Gamer Profile (Gamertag) file is over 1Mb in size, it will require a "Hash Block Calculator". Otherwise the profile will NOT show up as available when you turn on the console and the file will be listed as corrupt in the Memory Settings on the Dashboard. 8. 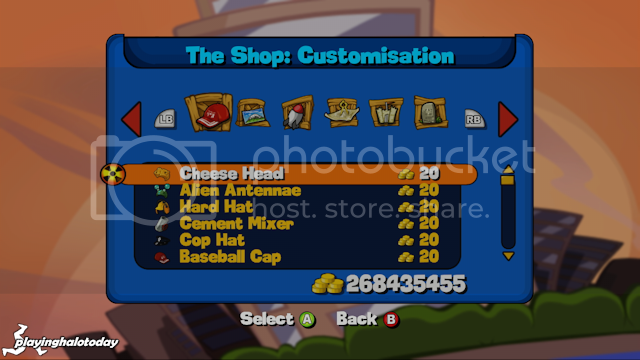 You can also unlock the Shop items by modding the bytes in front of and after the money locations to "FF". 1. The gamesave is NOT stored within each individual Gamer Profile folder, but rather a generic folder with the ID # "0000000000000000". Within this folder is the folder for the Worms 2: Armageddon game whose ID # is "58410912". The gamesave file is then found within the subsequent "00000001" folder. 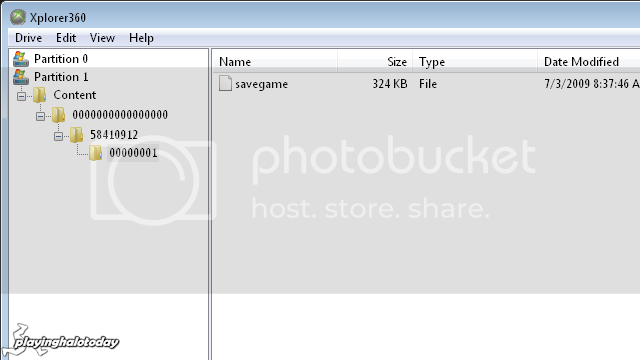 The file name of the gamesave is "GAMESAVE" and the filesize is 324 KB. 1. Each weapon's stats are stored in two bytes, directly in front of "43544E52" in HEX which is seen as "CTNR" in the text field. There are literally thousands of these "CTNR" values in the Gamesave, and you will need to change them all if you want to make all the weapons available and set their ammunition to "infinite". 2. The first byte represents the number of ammunition you have for this specific weapon. For example, "05" would mean that you have 5 of whatever weapon you were looking at. The second byte determines the delay timer for this specific weapon. Fro example, "01" would mean that there way a delay timer of 1 for this particular weapon. So if you wanted to make the weapon have "infinite" ammo and NO delay timer you would change the two bytes to "FFOO". 1. To find the "health" values of the worms, look for "64" in HEX in your Gamer Profile file. There are six locked gametypes NOT including any custom ones that you may have created. Since "64" is going to be fairly common, you want to narrow your search by looking for "64" similarly to the way you modifly the weapon stats. The health of the worms is also stored four bytes in front of "43544E52" in HEX which is seen as "CTNR" in the text field. To make the worms have infinite health, you would change the "64" to "FF". 1. The locations of the times for Turn, Round and Restreat are stored next to the location of the worm's health. Exactly 120 bytes past the health locations, the various times start backwards from right to left. 2. The values are listed backwords from right to left. For example, the game lists in order, a turn time of 60 seconds "3C" HEX, a round time of 20 minutes "14" HEX, and a retreat time of 5 seconds "05" HEX). Therefore you would find these three sets of values by searching for "05143C" in Hex. Now you can change them to whatever you want. 1. In order to get modified gametypes to work over Xbox Live, the person who modded the gametype(s) has to be HOST. The way the game is designed, you have to first search for a game and then if it doesn't find one you can then HOST a game. Which is really stupid by the way! 2. Everyone in the game will have access to whatever has been modded. 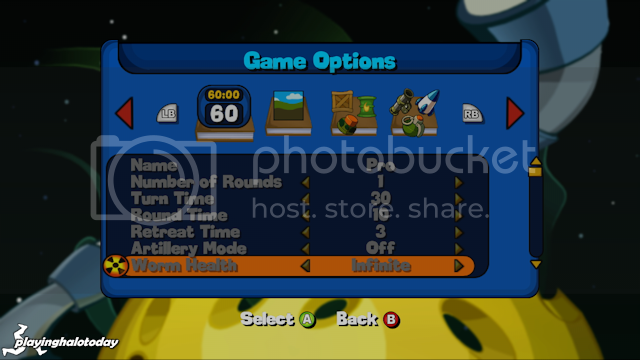 So if you've set the worms health to "infinite", then everybody's worms will have "infinite" health. The same goes for availability of the weapons, and the timed settings. By the way, the only way to kill a worm with "infinite" health is by drowning them in the water. 3. Even though all the weapons are unlocked and set to "inifinte" for every locke gametype in the included gamesave, NOT all the maps utilize all the weapons. For example, maps with the SKY blocked off by WALLS, will NOT have any of the weapons that have projectices flown in from off the screen. These include weapons such as the Bunker Buster, Armageddon, and Lightning Strike among others. 4. There are also six empty slots for DLC (downloadable content) weapons that will eventually be released. who have yet to look into this game. Woah, that's a lot of Worm Money! Example of Changing Money to 268,435,455... JACKPOT! Unlimited eve and/or health in bioshock 2?